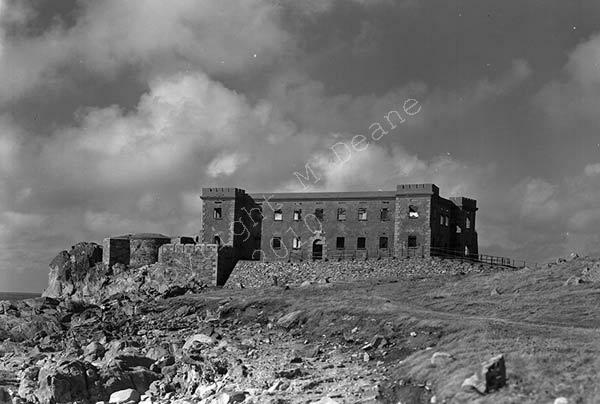 This semi professional photographer based in Clifton St Peter Port, took photos in Guernsey and Alderney mainly after ww2, though some were taken in the 1930's. These photos were taken at the Guernsey Airport circa 1947. Thanks goes to Alan Howell for researching the plane details in this section. According to an article in the 'The Times' dated June 18th 2010, General Charles de Gaulle set off from France to London on June 17th 1940 in a Dragon Rapide biplane to give his historic BBC broadcast the following day -"L'appel du 18 Juin" Please see 12x, 13x etc.